The Prime Minister, Julia Gillard, told her law firm partners she knew nothing about the mortgage on a Fitzroy property, bought partly with union money stolen by her former boyfriend, despite having been involved in the mortgage arrangements for the property two years earlier. A 1993 bank letter confirms that Ms Gillard - then a salaried partner with law firm Slater & Gordon - received an insurance certificate of currency, which was required for approval of a $150,000 mortgage provided by the firm's loan department. Julia Gillard ... told her law firm partners she knew nothing about the mortgage on a Fitzroy property. OPINION. Looks like massive rorting at the HSC union is not an isolated case within the Labor-union movement. With whistlblowers coming out of the woodwork nearly a decade after the events, Ms Gillard's apparent cover-up is not looking good. But Ms Gillard denied knowledge of the mortgage when challenged by the firm's managing partners in late 1995, after they first discovered her involvement in the work. "I don't, I don't think I knew that at the time," she told senior partner Peter Gordon, according to new details of the interview obtained by The Age. 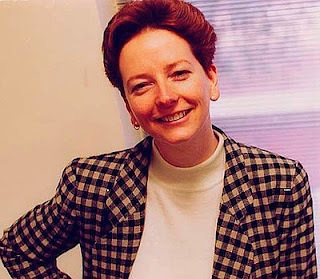 A West Australian fraud squad investigation in 1996 found the rest of the purchase money - more than $100,000 - had been siphoned from a union association by Bruce Wilson, Ms Gillard's then boyfriend and a senior Australian Workers Union official. The unit in Kerr Street, Fitzroy, was bought in the name of Ralph Blewitt, a union crony of Mr Wilson who this week returned to Melbourne from his home in Malaysia to brief Victorian police, who are considering whether to reopen their investigation into the scandal. In the newly-released details of her September 1995 meeting with Mr Gordon, Ms Gillard - after being questioned in detail about her work for Wilson and Blewitt - denies any knowledge of the Fitzroy mortgage. Peter Gordon: "Were you aware at any time that the balance of the funds to make up the capital was to be provided by contributory mortgage of which Jonathan Rothfield (a Slater & Gordon partner) was trustee?" Julia Gillard: "I don't, I don't think I knew that at the time, where the source of funds was. It's subsequently been raised with me that that was done through the Slater & Gordon mortgage register but I didn't have any recollection of that." The additional transcript material has been released by Nick Styant-Browne, another former equity partner in the firm, after he was contacted by The Age with questions about the mortgage. He said he was able to release it as it clearly did not involve any issues of lawyer-client confidentiality. A spokesman for Ms Gillard told The Age she stood by her statements in the interview with Mr Gordon and had no recollection of seeing the bank correspondence. A Commonwealth Bank letter sent to Ms Gillard on March 22, 1993, shows she was involved in the property's insurance, a prerequisite for the mortgage. Addressed "Attention: Julia Gillard" and headed "Certificate of Currency", the letter from the bank's insurance department confirms the Kerr Street unit had been insured in the name of Ralph E. Blewitt. "In accordance with your request, we advise the building/s are insured for $200,000 with the Commonwealth Bank Insurance Scheme and the policy is renewed until 18th March 1994," it says. On the same day the letter was sent, a handwritten note in the file headed "Bruce Wilson" refers to the certificate of currency from the Commonwealth Bank and adds: "Ralph spoke to Julia Gillard". The 400-page conveyancing file also shows that Ms Gillard waived professional fees on the conveyancing and loan work, sought and received a detailed briefing on penalty interest provisions for the mortgage and forwarded a cheque from Mr Blewitt for costs associated with the purchase.